We are the number one Gold and Silver Bullion Dealer in Michigan. We carry the largest selection of Gold Bullion in Michigan. No other dealer comes close. Take a look at our current Gold Bullion prices. We are the #1 U.S Mint Distributor in Michigan. We Stock American Silver Eagles, Generic Silver Bullion, Canadian Silver Maple Leafs, Silver Bars and Rounds from just about everywhere. Live Silver Bullion prices, updated in real time. 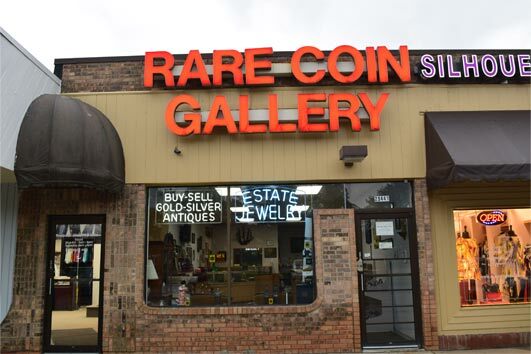 We are the number 1 coin buyer in Michigan, We will purchase your entire collection for TOP DOLLAR! We buy all unwanted Gold and Silver. We pay TOP DOLLAR for unwanted or broken Gold and Silver Jewelry.